PICTURE THIS: Images of Big Youth, Culture, and Etana, by Peter Simon (below). Coinciding with a new venture between acclaimed photographer Peter Simon and New York-based record label VP Records, Simon’s new retrospective photo exhibition "Reggae Bloodlines: Lens of A Generation" had its Kingston debut Thursday night at the Puls8 Complex. Simon, who specializes in powerful portraits, has amassed an oeuvre that includes installations of intriguing images of Jamaican culture spanning the early 1970s to the present day, and includes prominent reggae artistes of each respective era, from Peter Tosh to Jimmy Cliff to Bob Marley. Art photography lovers and reggae aficionados in New York City and Martha’s Vineyard can look out for the exhibit's arrival in the coming months. VP Records is preparing for the summer release of Reggae Bloodlines: The Natty Dread Era, a multi-disc compilation inspired by Peter Simon's 1977 book Reggae Bloodlines: In Search of the Music and Culture of Jamaica. The acclaimed book, photographed by Simon and written by Stephen Davis, chronicles the 1970s reggae scene. 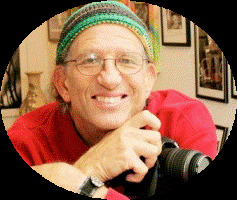 To learn more about Simon and his terrific body of work, visit petersimon.com.